Should have got a picture. I think you’re giving them too much credit. I think we’re interpreting it EXACTLY as it was meant…. the sick f-ers! 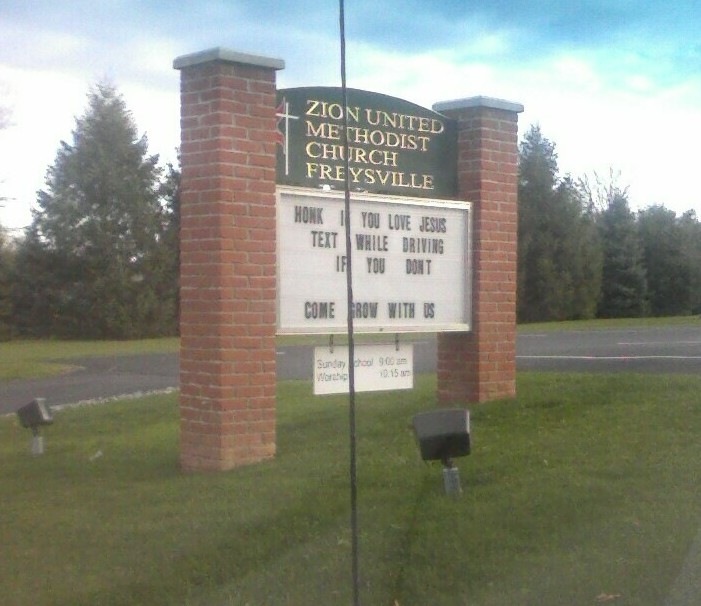 I’m considering calling the church and asking them if they understand the implication their sign conveys. A “Yes” would warrant an editorial in the local paper, I think… or something on a larger stage. Do it!! 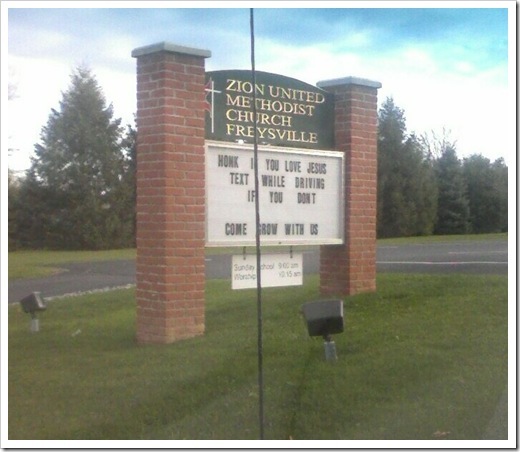 I’d love to read how the church explains this message!